Nikkiso group has the linenap of the equipments such as reasonable LNG pump(TC-34/34.2) and vaporizer for natural gas supply. We have been supplying many our products for a variety of LNG facilities other than marine such as receiving terminal and liquefaction plant. 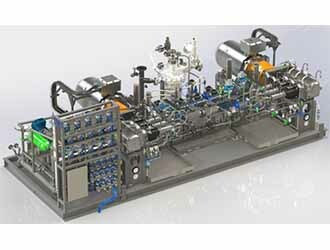 We can give suitable solutions based on a lot of know-how about LNG characteristics.